IMO big waste of a new platform. beautiful proportions covered in ugly. 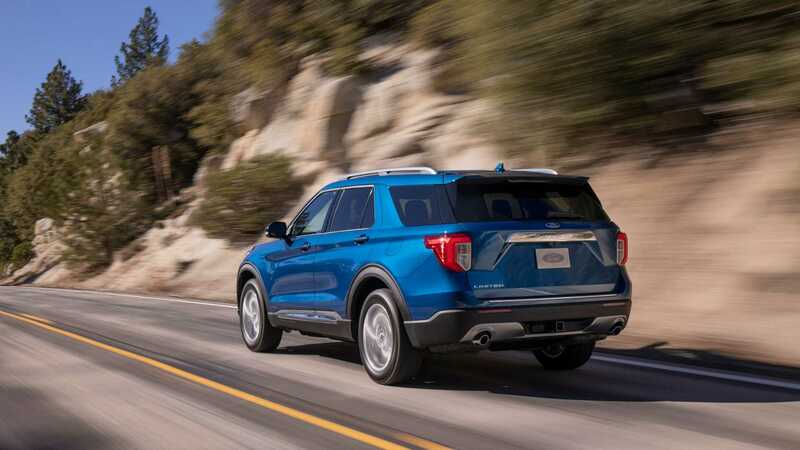 the back looks like a Subaru and the current Explorer had an ugly baby, the interior looks upscale but somewhat absurd with that screen positioning, and the front is a yawn. not upset about 300+ horsepower across the board though. Last edited by IcedG35; 01-10-2019 at 02:01 AM. The tablet setup inside is a surprise...and people said the spy shots of the normal sized center screen looked tacked on, but overall the interior is a big improvement. Outside...not so much. The rear is a caricature of the last gen. The way the grille meets the lower inner edge of the headlights will forever drive me insane. But I’m sure it’s gonna sell like crazy and we’ll see these everywhere. Yeah, great proportions with awkward and vaguely cheap styling on top. It's not hideous but it seems like wasted potential. It looks a bit dated honestly. I haven't had much of a problem with the stuck-on tablet look in general, but this looks ridiculous. Going by the spy shots there will at least be a more reasonable screen size option. Inside looks like an iPad leaned on top of the dash; otherwise very nice. The exterior is bland...non-offensive, but forgettable. Same echo of the rest here. Great proportions. Wasted on some truly cheap-looking and questionable details. The grille looks flat and tacky. Entire lower bumper is plasticy. Tail lights look like a joke. The tablet interior is indeed a joke. Who thought that was a good idea (honestly, who?). At least lower it below the dash so it doesn't stick into the driver's view? Otherwise a very nice and upscale interior (not befitting of the exterior). Meanwhile there is going to be a major announcement in Detroit about the VW/Ford alliance sometime next week according to some sources. VW is weak in the US, Ford is weak everywhere else. They can't even make money in China. I wonder if part of the alliance will include a partial or full retreat from Europe; neither would surprise me. It's pretty amazing how far they've fallen, and how quickly. Last edited by SV; 01-10-2019 at 03:01 AM. 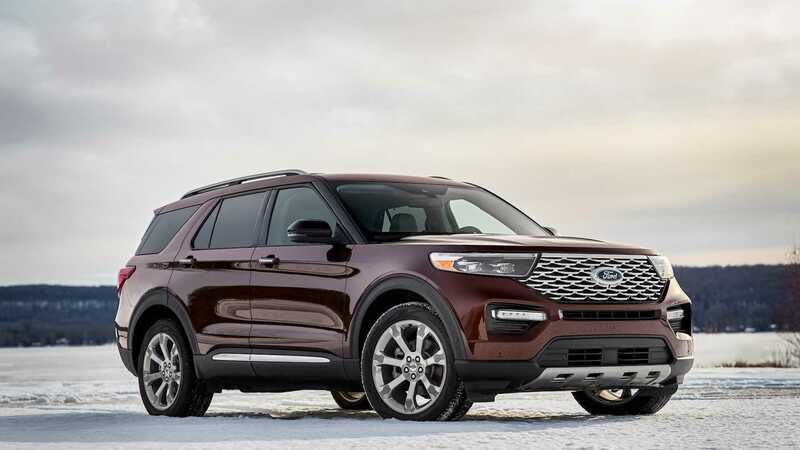 It's really a pity that Ford didn't take the chance and use the RWD platform for something fresher, more upscale looking (like it's Lincoln brother), but at the first and second glance looks like a facelift of the current FWD derived model; Yes, I know the Explorer sells by the boat load and it's nothing offensive, just a bit more style, a bit freshness. 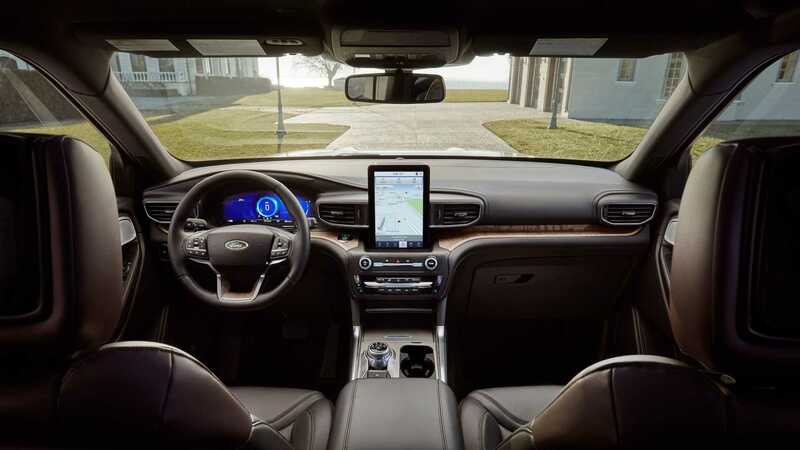 I don't mind the tacked-on tablets when they're above the dash and have a horizontal orientation. This screen looks utterly horrid and completely throws off the look of the entire center console. While it's at the correct height, it looks to be a considerable distance from the driver. Is it a touchscreen? I can't imagine it'll be easy to use when you probably have to lean over to reach it. Also, how are they going to update it? Make it even taller? Redo the air vents (which I imagine Ford won't spend the $ to do)? Ew. A measly 5600lbs versus the decades old Durango which is 6200 for the lowest factory install to 8400 at the high end and the factory set up includes trailer braking. 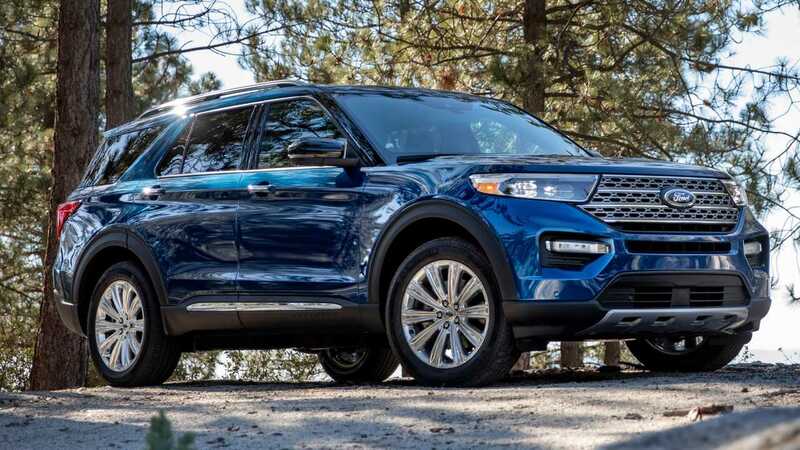 Why in hell would you think of towing with an Explorer rather than an Expedition? And Explorer is one size class to small for the job.